TassNow: Last-minute and late-July, oh my! Got time for a quick trip to Tassajara? There is a wide variety of Shared Housing and Dorm spaces available as well — Just ask us! For questions or to reserve your room, please contact Tassajara Reservations by phone, 888-743-9362, or email. 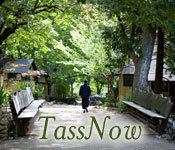 NOTE: TassNow room availability updates refer only to last minute / near future availability at Tassajara. These updates don’t necessarily mean that other dates aren’t available. For all inquiries about availability and reservations at Tassajara, please contact Tassajara, as indicated above.